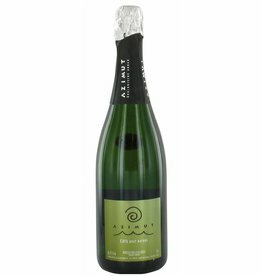 Cava elaborated without sulphites added from grapes from Xarel-lo and Macabeu, from the most plain vineyards that surround the farm; gravy, sandy and fresh lands that give us a special acidity to obtain a very special cava. Frisse, fruitige neus, met een vleug kokos, witte druiven en ananas, in de smaak exotisch fruit, tonen van gist, een redelijk grove maar niet onaangename mousse, eigenlijk een geweldige koop. Wine from Xarel.lo vineyard that is over 60 years old, with very low production and a oak barrel fermentation process. This wine is an homage to my father and grandfather of my children, from whom it gets its name.